Vtech: Go! Go! 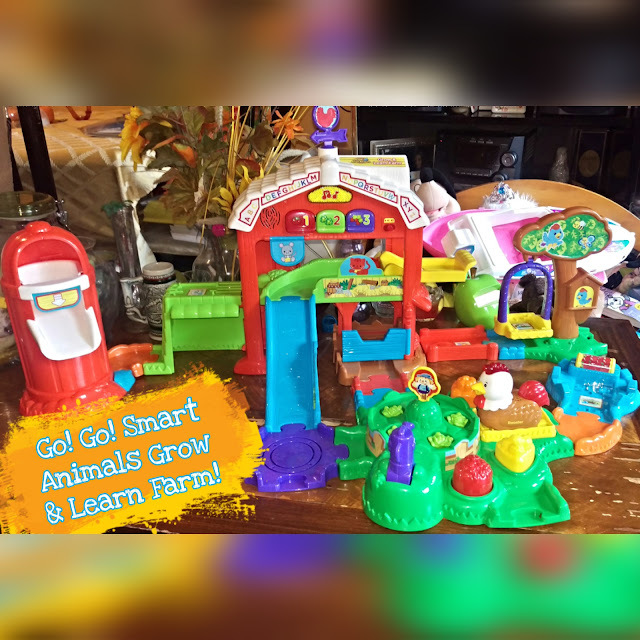 Smart Animals Grow & Learn Farm Review! Disclaimer: VTech provided us with the below mentioned product and product information in exchange for an honest review. All opinions are 100% Honest, my own, and are not influenced in any way. Lets Go! Go! again... Remember last year when we were given the Go! Go! Smart Animals Tree House Hideaway Playset? 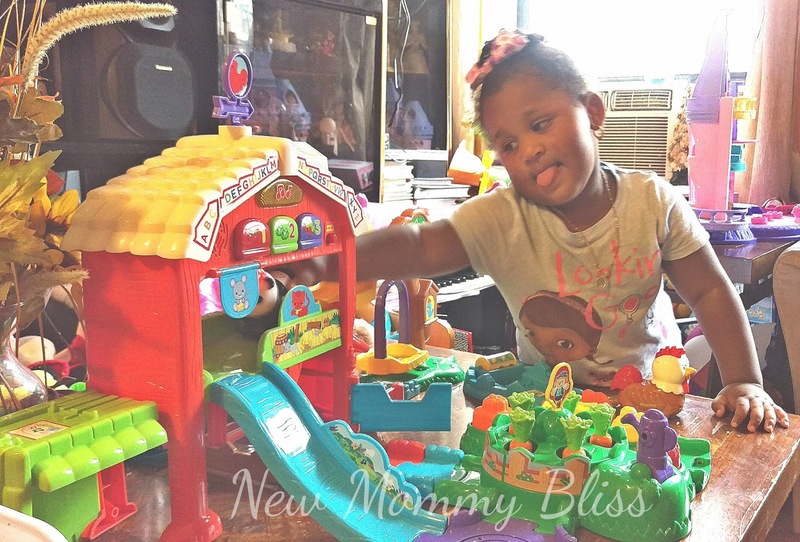 I told you our thoughts and how much we loved what Vtech had come up with. Well this year, we were sent the Go! Go! Smart Animals Grow & Learn Farm and can not tell you how happy my diva is. It initially took me about 10 minutes or less to put it together (although it felt like an hour). Unlike the other playset, this one did not have anything that needed to be screwed together. That made for quick dis-assembly when needed. I made sure to assemble it when Gabby was in school so that she'd get home to a fun surprise! It's the perfect size for her little hands and putting it on the coffee table brought it right up to her level. Vtech has always been known for their electronics such as kiddie laptops, tablets, watches, ect... so when they brought out the Go! Go! line, it was like a dream come true towards animal and car loving kids. The Go! Go! Smart Animals Farm is designed for kids ages 1-5. While the set comes with many parts in a bunch of plastic bags, the pieces themselves were large enough to safely fit into toddler hands, and the puzzle-like construction was easy for Gabriella to figure out. 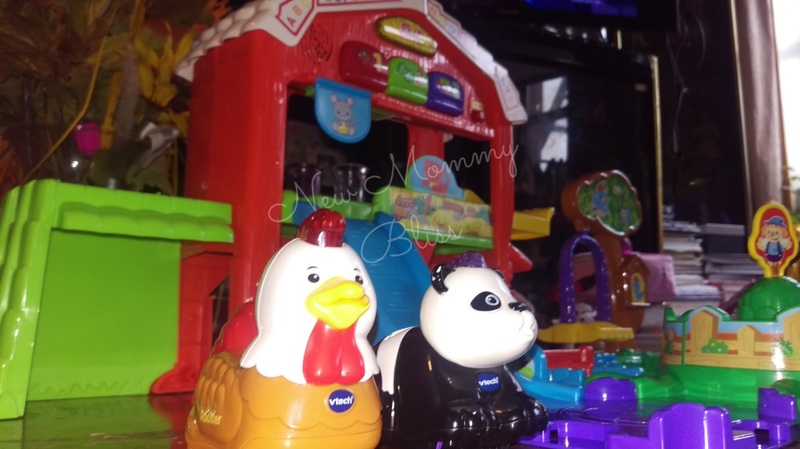 Our Playset came with Reggie The Rooster who quickly became friends with Pearl The Panda! The Go! Go! Smart Animal Grow and Learn Farm has 7 Smart Points that'll make the rooster Chatter up. The rooster plays music, sings songs, and says a few phrases. All while the colorful barn introduces my 2.5yr year old to colors, shapes, and So much more. I also encourage counting with "One, Two, Three, Go!". I can honestly say that Gab's favorite parts of the entire Go! Go! 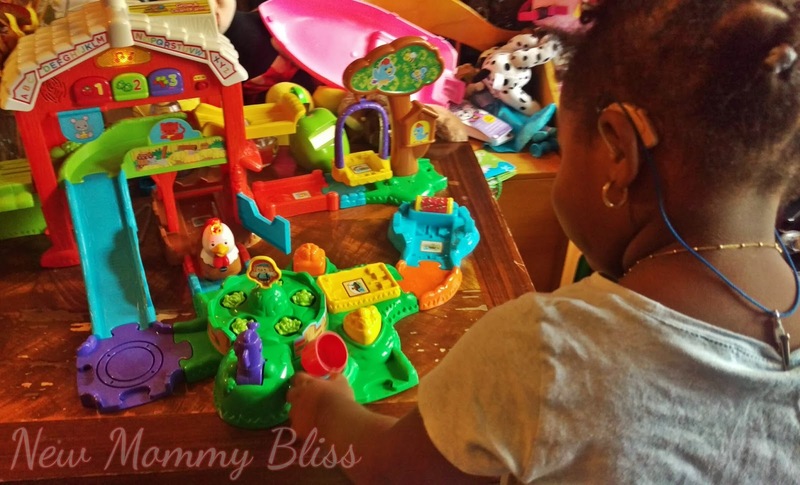 Toy experience are the slides and ramps. It's as if she's always in the fast lane. This is an amazing learning toy for Toddlers and would make great Holiday Gifts at just $39.99! Are the Go! Go! 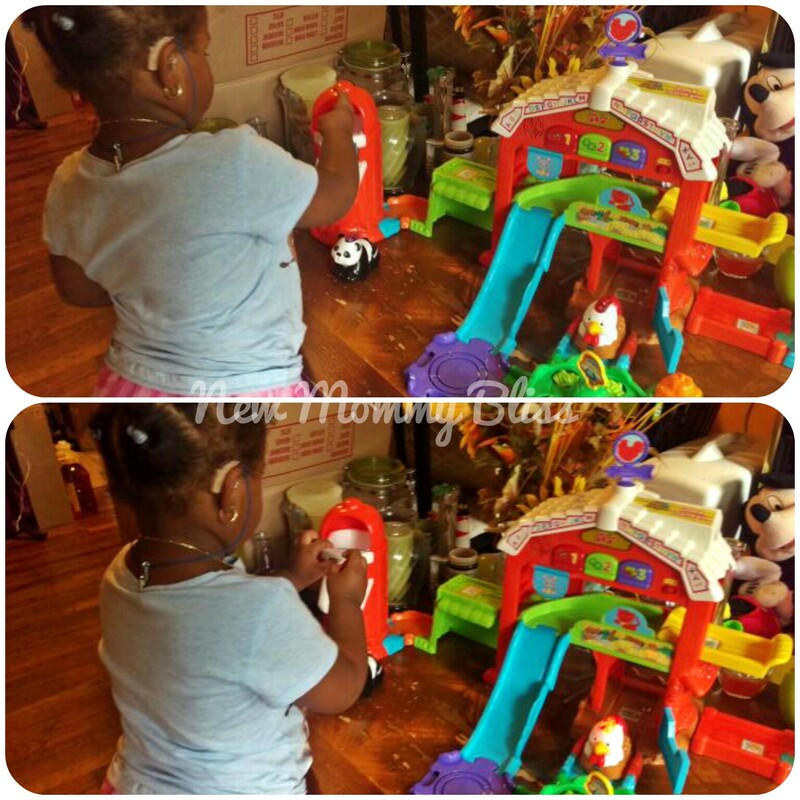 Smart Animals Playsets on your holiday lists yet?